We were made to dream- I woke up at 5 AM and got in my car to beat the morning traffic. I was able to get into Downtown San Diego before the city woke up. I found a cool hipster coffee shop and dreamt about this blog and how to inspire my subscribers for hours (Changes coming soon!). After filling three pages of notes and completing an action plan for this next year, I realized how amazing it is that God made humanity with the ability to make something out of nothing through our minds. Crazy right?! We were made to run- After this I jumped in my car and headed over to Ocean Beach (My favorite place in San Diego) and put on the The Liturgist Podcast and started running. After 30 minutes, where I would normally stop, I kept going, and going. I ran for 1 hour and 30 minutes straight. It felt so natural. I think we were made for physical adventures more than stationary entertainment. 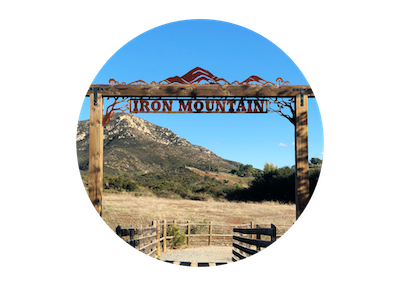 We were made to see beautiful things- After, I went with a close friend to hike at a place called Iron Mountain. It was a 5.8 mile loop and we were determined to conquer it. Halfway up we saw a small trail that led to a peak and we couldn't resist taking it. We reached the top as the sun was setting and couldn't leave, it was just so dang beautiful. As I was sitting up there I couldn't help but think that I need to seek out beautiful things more often because it is restorative to my humanity. Needless to say, we didn't make the whole loop, but that was just okay with me. Do you take time to understand the lessons that you learn everyday?